Ho ho ho hope you have a great Christmas. This is a cover I play a little. It's a bit rough and ready, recorded in my kitchen, but we captured some of the mood of it I hope. Great song by Joni Mitchell for your Christmas playlists. Last week there was an open call for the Other Voices IMRO Other Room. I thought it would be fun to turn our rehearsal into a live recording of a new song as a submission. So, my brothers Kevin and Eoin came up from Sligo to shoot us in Billy's place. We set up quickly and did a couple of takes. One mic, two cameras. I'm very happy with it as we don't have many live recordings of Nocturnes and there was a lovely natural energy and momentum in the evening. 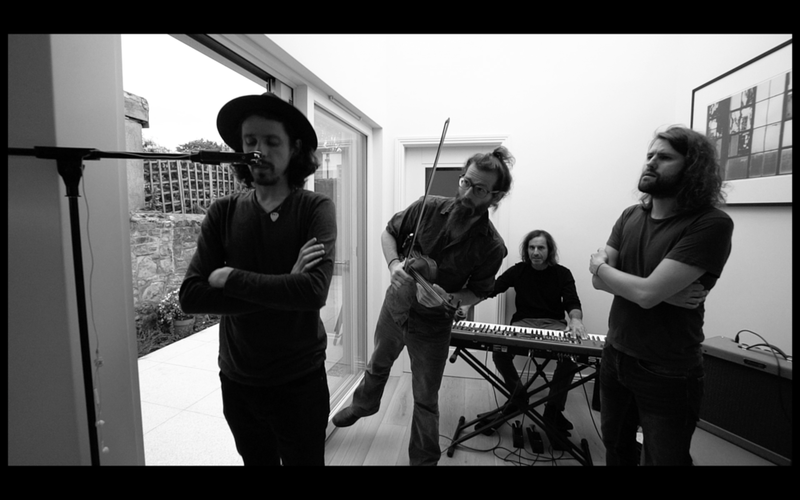 Big thanks to Billy, Niamh and Séamus for allowing us to turn their house into a makeshift studio and to Kevin and Eoin for doing the visuals so well. We will release the studio recording of the song before the year is out. In the meantime, our next stop is Nighthawks at Cobalt Café on October 7th. 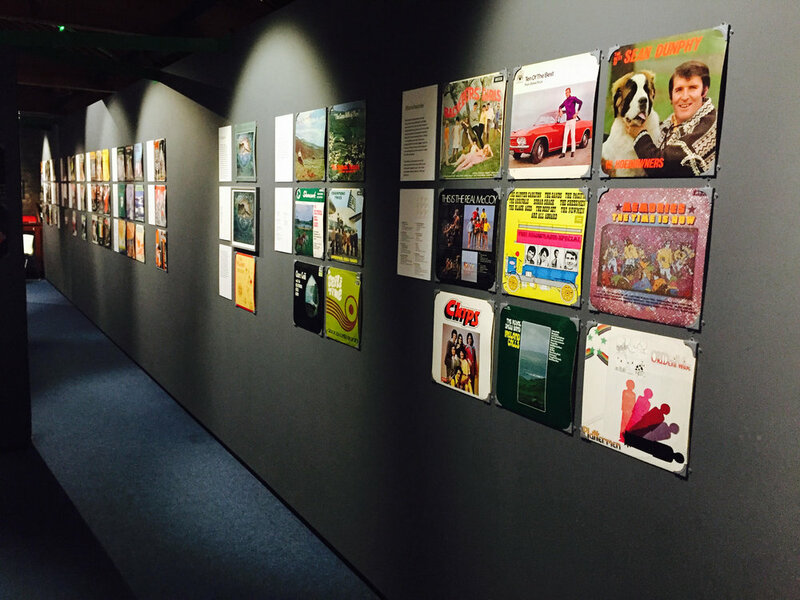 Recently I was at an exhibition of Irish records in The National Print Museum as the sleeve for In Movement was being exhibited there alongside lots of albums ranging from the 1950s up to the present day. It's safe to say there've been many dodgy album covers. Also, there've been lots of quite strange looking people on album covers. I was honoured to be included. In Movement is an album design I'm proud of and kudos must be given to Stephen Kiernan (a talented drummer and graphic designer) for bringing it to life. We did a creative shoot for the cover with Kieran O'Donoghue, whom I'd met via the Life's No Picnic On the Streets project I had worked on with Depaul Ireland. Kieran also allowed us to use some of his very fine photography from an exhibition he had based around Chernobyl and the vacated areas there. Truly powerful work. As we wandered around the exhibition I felt the whispering of Yeatsian ghosts; 'What then.?' sang Plato's ghost. 'What then?' I know how much labour and effort can go into a record. And here was but a small portion of releases. Phantoms of yesterday. Forgotten, mostly. 'Look upon my works ye mighty and despair'. Bit of that. But how could it be any other way? I often get people asking about this cover. There's a trick there. Can you work it out? Hi! So earlier this week we put out the new video for 'On The Mississippi'. When we've played this live we've often invited a poet up to see out the end of the song with a spoken word piece. Amongst our glittering alumni have been: Stephen Murphy, Stephen James Smith, Sweeney Lee, Erin Fornoff, Catherine Anne Cullen, VJ Jackson and Patrick Curley. This has been a highlight of the set in recent months and a great opportunity to share the stage with the sparkling talent of our poet folk. There's a short clip of Patrick Curley performing with us below for the Beneath The Air series in The Model, Sligo last October. 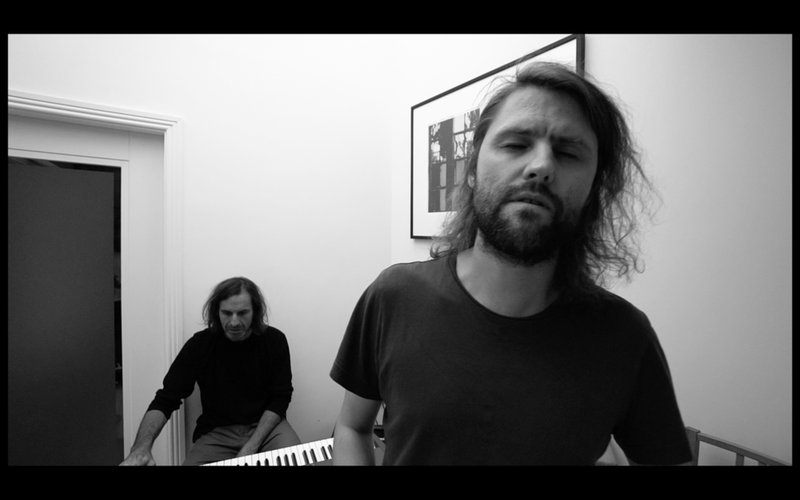 Enda Roche and myself recorded the song with Darragh Nolan, and we were lucky to have harmonica player supreme Christian Volkmann track some lovely playing a few weeks later. Here's a short clip of Christian recording at my place in July 2015. Originally, the song was a little lullaby. I liked the melody and for me it conjured up a story of adventure and redemption. Thanks for dropping by. 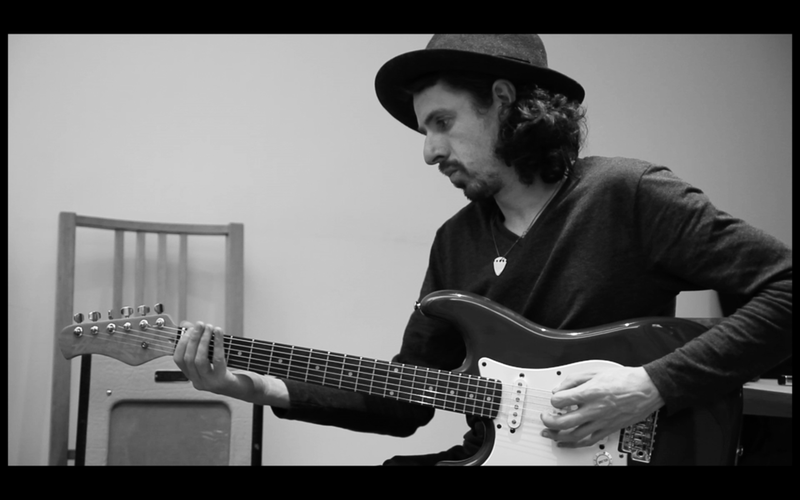 Here is a video I made for 'On The Mississippi' taken from our recent album 'The Soft Animal'. The track was originally a sort of lullaby I sang with my daughter. Then I started thinking about the lyrics a little and it became a song about beginning afresh, a song about redemption. I shot the video in Louisiana. Alternatively, if you are a Spotify user, you can help us out by saving 'On The Mississippi' and adding it to your playlists. Hey folks, we are delighted to have 'The Antler' feature on the legendary Record of the Day today April 11th. The article is over here. Our next show is in The Bello Bar on April 30th 2017 to mark the single release of 'Dear Infant' a track about creativity, family and vulnerable connections. Delighted that support on the night will be from Ella Naseeb. Thanks to Fionn McArthur for the brilliant poster image. FB page is here. Remember blogs? I used to post blogs on MySpace quite frequently but the instant-hit of posts on social media seems to have replaced such missives. So, I'm going to write about playlists which, with the growth of streaming services like Spotify, seem to be on the increase. There are downsides to this. Recording artists love to produce albums. Every year the Choice Music Prize in Ireland highlights the great number of albums produced in Ireland alone. 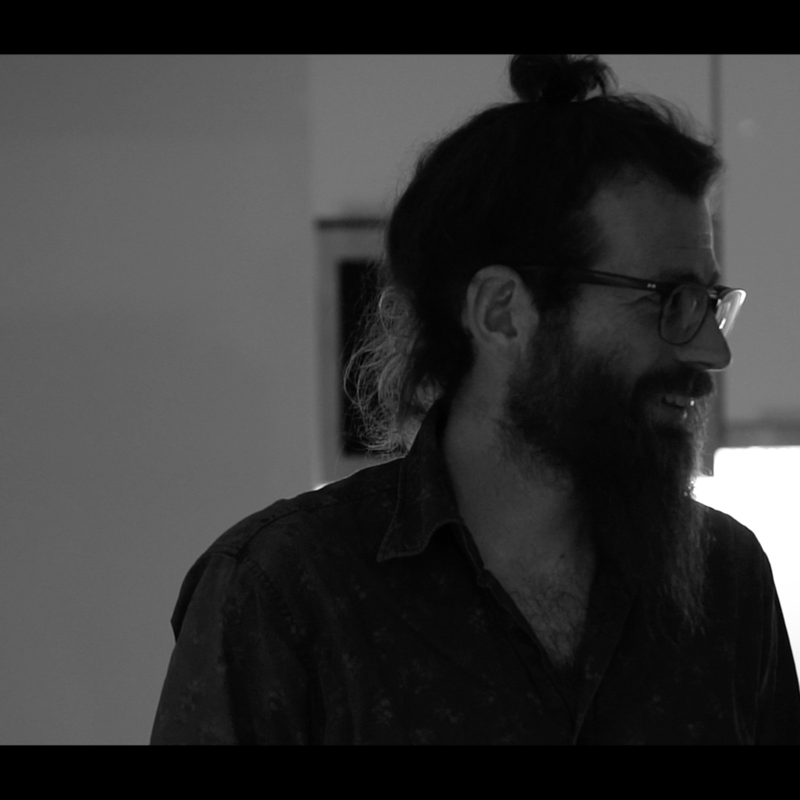 The album occupies a similar mileu to the feature length movie from a filmmaker or to the exhibition from the visual artist. And similarly to these mediums the album allows its creator room and space to explore a particular mood, theme or notion. It's a spacious form and in its best incarnation, carefully constructed. So is it sacrilege to pull these works apart, to cherrypick the best tracks? I don't think that it is. I like playlists. Playlisting, to me, allows tracks to exist within a new context which can breathe fresh life into a song. I used to work on Raidió na Life in Dublin where I had a show called 'An Uair Dhraiochta'. I produced the programme for years in a voluntary capacity. As the show aired on a Sunday evening, I tended to play mellow, atmospheric tracks and I grew a bit of a knack for playlisting. I enjoyed finding new music and meeting new bands who, like myself, wanted to connect with people who loved music, and who hopefully appreciated their music too. So, putting together a playlist for my Spotify profile, which I entitled 'Nocturnal Listening: Ambience & Atmosphere'. I started off with artists like Massive Attack, Max Richter, Lisa Hannigan and Chihei Hatakeyma, artists who in some way touched off or inspired my own work. And when I placed my own songs from Idiot Songs & Nocturnes in the playlist I was really pleased to find that they sat alongside these pieces really nicely, it was a playlist I myself would enjoy! So, I felt pretty proud about that, proud of the songs me and Enda Roche in Nocturnes and my collaborator Justin Grounds in Idiot Songs have produced over the last number of years. You can keep an eye on the playlist below. I'll keep changing it and adding to it. I hope you are keeping well. 2016 was a big year for Nocturnes. We released our new album 'The Soft Animal' on Bluestack Records and played some special shows around the wonderful island of Ireland which included performances at ALS, Sligo Live, HWCH, Culture Night, Cairde Arts Festival, Beneath The Air and in-studios for Today FM, Radio One and BBC in Belfast. The year was capped off by 'The Soft Animal' being named as one of Dan Hegarty's Top 20 Irish albums of the year while Culture on RTE called it a 'favourite Irish record of the year'. With so many unique and compelling albums coming out in 2016 we were thrilled with the response. Thank you so much for your support of Nocturnes in the last twelve months. Below is a video we made for 'Heikegani' which features the vocals of Adrian Crowley who we were honoured to have sing on the song. We're big fans of his.